Joking aside, technically if you had a need to "thin" water ethanol would work as is it water soluble and it is about 78% less dense than water. If you are trying to lower the surface tension, a tiny drop of dish detergent in a quantity of water will make the water "wetter". 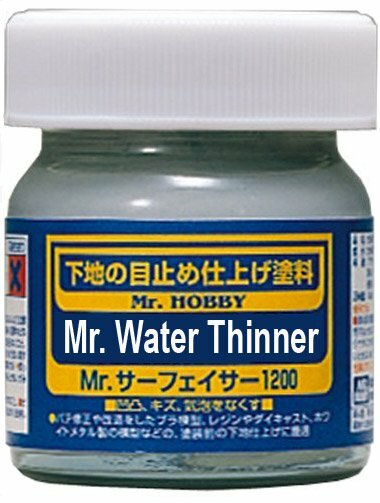 But Mr. Water Thinner will still be available for those who like to mix it themselves.